Asian Connections is a major series of ambitious works that look beyond the traditional templates of area, regional or national studies to consider the mobile trans-regional phenomena which have connected and influenced various parts of Asia through time. The series will focus on empirically grounded work exploring circulations, connections, convergences and comparisons within and beyond Asia. Themes of particular interest include transport and communication, mercantile networks and trade, migration, religious connections, urban history, environmental history, oceanic history, the spread of language and ideas, and political alliances. 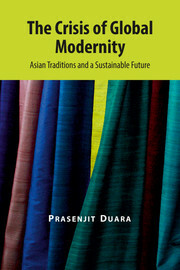 The series aims to build new ways of understanding fundamental concepts, such as modernity, pluralism or capitalism, from the experience of Asian societies. It is hoped that this conceptual framework will facilitate connections across fields of knowledge and bridge historical perspectives with contemporary concerns.